After setting up manufacturing facilities for smartphones and power banks in the country, Xiaomi has now announced local manufacturing for its Mi LED TVs. After setting up manufacturing facilities for smartphones and power banks in the country, Xiaomi has now announced local manufacturing for its Mi LED TVs. The new facility has been built in partnership with Dixon Technologies, that spans across 32 acres in a campus in Tirupati, Andhra Pradesh, and will have a production capacity of 1,00,000 Mi LED TVs per month by Q1, 2019. Manu Jain, Vice President, Xiaomi and Managing Director, Xiaomi India said, "Xiaomi's tremendous success in India has been primarily contributed to our commitment in India and we are proud to take the next step with the support of the state of Andhra Pradesh. After a successful smartphone journey, we are beginning a new chapter with Mi LED TV manufacturing in India. We are already the number one Smart TV brand in India, and we hope that with our increased focus on local manufacturing, we would be able to increase our supply and ensure we can reach out to many more Mi Fans." The new Mi LED TV manufacturing plant, will employ over 850 people, and will assemble Mi LED Smart TV 4A 80cm (32inch) and Mi LED Smart TV 4A 180cm (43inch) initially. Xiaomi entered the Smart TV segment in the Indian market in February this year. And in just over six months, the company has managed to sell over 5 million smart TV panels in the country. Just last week, Xiaomi refreshed the TV offering by adding voice search and Android TV support to the new line-up. Today, Xiaomi is offering Smart TVs in 32 inch, 43 inch, 49 inch and 55 inch screen sizes. Recently, IDC reported that Mi LED TV has become the number 1 Smart TV Brand in India as per Worldwide Quarterly Smart Home Device Tracker, 2018 Q2. Chief Minister of Andhra Pradesh, Sri Nara Chandrababu Naidu says, "Andhra Pradesh continues to lead by example when it comes to Ease of Doing Business and the attractive policies for investors in the state, which is attracting blue-chip manufacturers in the field from all over the world. I have a vision of making Tirupati an IT Hub, offering a one-stop solution for leading electronics players encompassing the entire life cycle of and ecosystem in electronics from design to death." 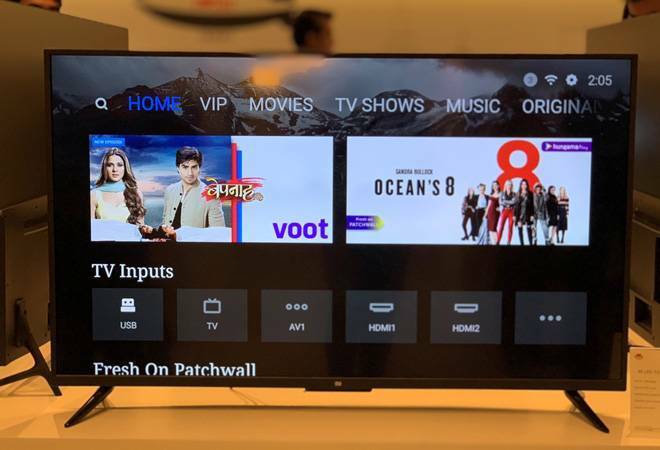 In March this year, the government had halved customs duty on 'open cell' panels, accounting for close to 70 per cent of the cost of assembling LED TV sets, to 5 per cent. Before that the customs duty on imported LCD and LED TV panels and import duty on TV sets had both been doubled. In all, Xiaomi has six smartphone manufacturing plants in India in partnership with Foxconn and Hipad Technologies across Sri City, Andhra Pradesh, Sriperumbudur, Tamil Nadu and Noida, Uttar Pradesh and its first power bank plant (in partnership with Hipad Technologies). Currently, over 95 per cent of Xiaomi smartphones sold in the country are made in India. Other than smartphones, power banks and Smart TVs, Xiaomi is also a popular name in air purifier segment and has recently launched Mi Home Security Camera 360 in the country.